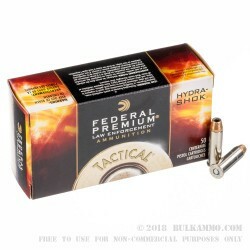 This is a potent round for the .38 Special platform and must be used appropriately in guns that can fire a +P load. Generally, this is a faster moving, better performing load built to specific personal defense parameters by the proven Federal Premium Tactical line. The resulting performance is a nice boost to common ballistics for the .38 Special and gives the user a truly defense-centric experience. The 129 grain jacketed hollow point is a Hydra-Shok bullet with a proven track record of penetration, deformation and energy transfer. For those that need a +P .38 Special this is a serious option. 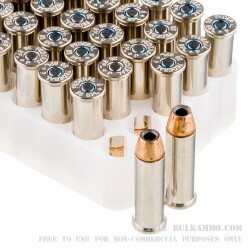 The 950 feet per second velocity of this round at the muzzle gives you more options with the round and the 250 ft. lbs. of energy is impressive given the normally demure static ballistics of the .38 Special. 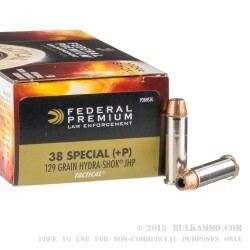 It can be expected to perform much better than mainstream .38 Special, and has a proven record of performance in tactical scenarios where a .38 Special still makes sense. 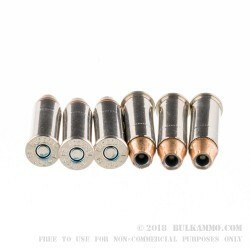 The nickel plated brass with a Boxer primer is a premium donor for reloading and the functional improvements in the cylinder and upon extraction make it a great buy.